and the company felt they could help improve the structure. remodeled the bathroom upstairs (and). We painted the bedrooms,” Wilber said. and made improvements to a firescape walkway. Get Pretty For A Good Cause! The Adult Cosmetology Class at Ashtabula County Technical and Career Center will host a benefit for Homesafe and the Samaritan House from 4:00 p.m. to 9:00 p.m. on Friday, October 26 at A-Tech in Jefferson at 1565 State Route 167. The cosmetology students will be giving haircuts, facials, manicures, pedicures, waxing and hand and arm massages. The students are dedicating the fundraiser to the memory of the late Hilda Garcia Rodriguez, who was a student at A-Tech and her mother, Amparo "Patty" Torres, both of Ashtabula. Win a 2012 Chevy Cruze! The Chevy Network & Classis Chevy of Madison is sponsoring a raffle to benefit the local community including the Samaritan House. The lucky winner will win a 2012 Chevy Cruz valued at $20,000. Tax and title are also included in the prize. stop by at 4125 Station Avenue in Ashtabula. Office hours are Sunday through Saturday 6:00 p.m. - 9:00 p.m.
and Monday through Thursday 8:00 a.m. - 12:00 p.m. Drawing will be held at the 2012 Geneva Grape Jamboree. The car in the picture is not the actual vehicle. 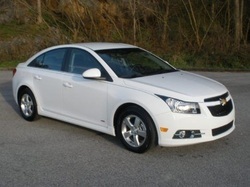 The 2012 Chevy Cruze being awarded can be seen August 18, 2012 in the Samaritan House parking lot. Make Sure To Mark Your Calendars!!!! It is our 1st Motorcycle Run!!!!!! Homelessness is an ongoing struggle many people have faced during these difficult economic times. It has also affected the lives of many of our local residents. The reason can be a tragedy or a crisis. It can be unpredictable and unpreventable. Flooding, a house fire, loss of income or employment, divorce, death of spouse, eviction, domestic violence, an ended relationship, release from a hospital, victim of a crime and foreclosure are many of the reasons why people need our services. And for the past 22 years, we have been here to provide that social safety net and a place for people to stay inside. Since 1989, the Samaritan House has served about 4,000 different residents. While the vast majority of our residents are from Ashtabula County, we have served people from all over the world. This would never have been possible without the kind support and donations from members of our community. But now, we need you more than ever. We realize that times are tough for everyone all around. At the shelter, we are doing all we can with very little. Our primary grant allocations from FEMA and United Way have been cut 38% and 27% respectively. With donations down 41% from previous years, staff have volunteered, stretched and saved at every corner to maintain basic shelter services throughout these past months. Without financial support, the Samaritan House could be closing very soon and the families who need our help will be left to face these challenges alone outside. I hope you remain involved with the Samaritan House and that you continue to be a partner in our work on behalf of the homeless. You have my deepest thanks for assisting us bring help and hope to so many. 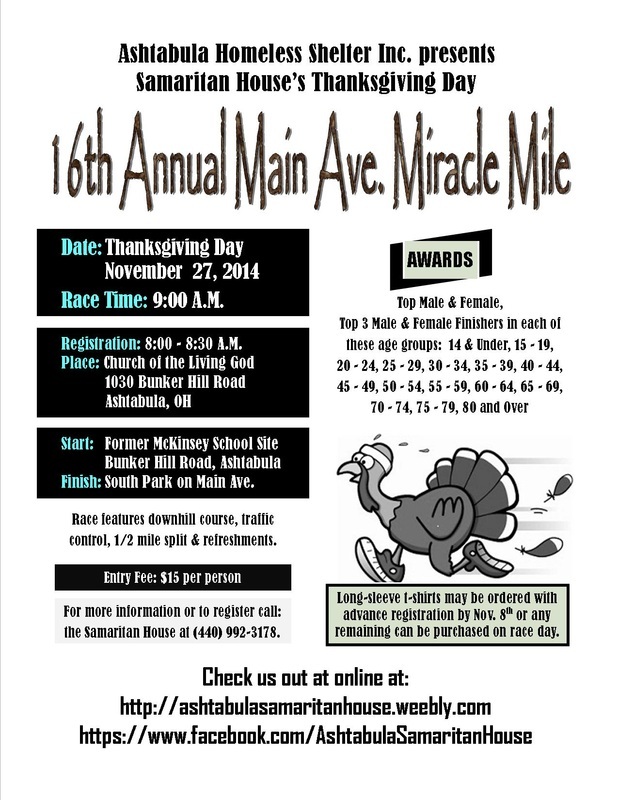 Ashtabula Homeless Shelter, Inc. is an IRS-approved 501(c)3 nonprofit organization. Since no goods or services were received in exchange for your gift, 100% of your contribution is tax deductible as allowed by law.